See if drive is listed in Device Manager? See if Drive is listed in Disk Management? If that SSD is not listed in any of these two Windows then shutdown the PC and unplug that SSD and replug it into a different Sata port. This drive will have to be recognized by Windows before any booting will take place. Put the SSD on the #1 Sata port and the HDD on the #2 or you might even try and plug in one drive at a time, the key is to isolate that SSD drive. If Windows fails to recognize the drive then you might have a driver issue or even a bad drive. We at least know that Windows is recognizing the SSD. When you installed W7 Pro it was installed to unallocated space on your SSD and wrote the 100MB System Reserve partition which contains your MBR and your boot files. In other words you have two partitions on C Drive, System Reserve, and C Drive where Windows is installed. First, is this the only PC you have? Second, is EasyBCD installed on your Temp 7 drive? Third, is you need to go into your mobo settings and see what mode your Sata drives are in, mine is under Advanced Settings Drive Configuration. 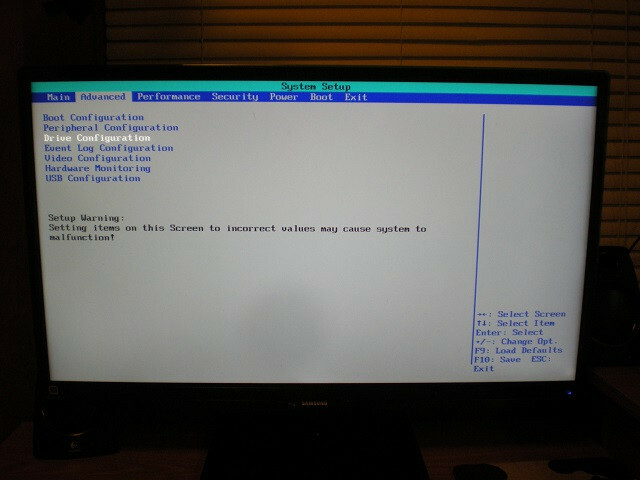 Mine is in Eide mode on this PC but if you are using UEFI then I would think they would be in AHCI mode. Fourth, is that SSD will have to be isolated, in other words we want that drive booting and everything else needs to be unplugged. With all those drives their is just too much room for error. Fifth, you will need your W7 system recovery disk or the W7 install disc. You can create a recovery disc from you W7 install from your Temp 7. Sixth, you could isolate the SSD and reinstall W7 but to keep W7 setup from installing the System Reserve partition you will have to create the partition before installing W7. Unless you use bit locker then W7 does not need that partition. If this was my PC I would use EasyBCD to set the W7 on the Temp 7 disc as the default OS and delete the C drive boot options. 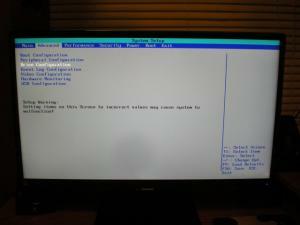 I would then download a Gparted ISO and create a Gparted boot disc. I would use Gparted to delete the C drive and create a partition for W7 using the ntfs format. Why Gparted? Simply because it can do things that cannot be accomplished with using windows tools. Their are other options Terry and feel free to explore them, this is just what I am comfortable with. Daniel. 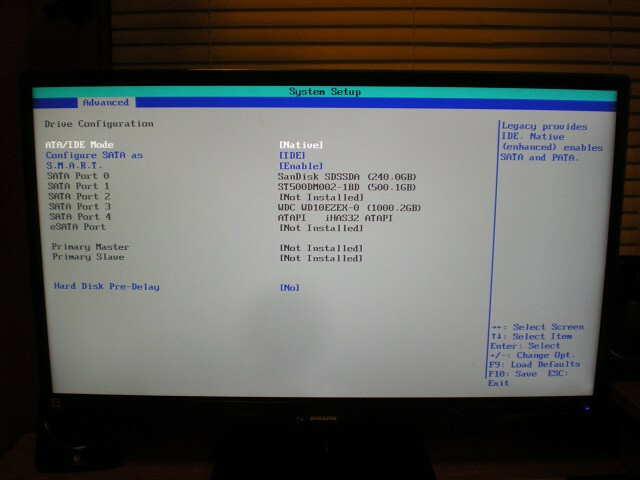 It will boot if I tell BIOS to boot the D drive. SSD only has 2 items= W7 Pro and the system reserve partition. EasyBCD is not on Temp 7 but can easily be installed. Advanced Settings Drive Configuration...where do I locate this? I will give you the appropriate settings for my Intel mobo. I hit F2 for bios settings. I hit the Advanced Tab once in bios settings. I then open Drive Configuration. Under that tab their is a "ATA/IDE Mode (Native/Legacy) Mine is set to "Native"
Their is also a "Configure Sata as" (IDE, Raid, AHCI) Mine is set to "IDE"
If you are using UEFI then I would think it would have to be set to "AHCI"
I do not know how to do a screenshot of my bios settings, and the different mobo models may be a little different. Their should also be a list of drives and the Sata ports that the drive is using in their, I always put my boot drive on Sata port "0". My Asus P8Z77-V LX is a little different but not by much. To me, this is getting so convoluted that it gives me a huge headache just reading it. I thank you for all of the time you have spent helping me. One last question: when I try to do a system restore in safe mode only the last 2 points show and of course that is not what I need. How do I get my C drive to show as the default in the boot order when it is not listed at all. Maybe a reinstall sometime in the future. I don't begin to know how it got this screwed up. According to my mobo diagram, I don't have a "0" SATA port, only 1 thru 6. System restore will not fix your problem. I am not sure as to why C drive is not listed, but I have pretty good idea. I have dealt with this on other PC,s and I have found only about two things that will get that SSD booting. One is to use a third party partitioner to delete that system reserve and then run bcdedit and bootrec from the windows setup disc or to reinstall windows but do not let windows setup create the C drive partition. If you decide to reinstall please unplug the other drives and isolate that SSD. I run multiple drives and OS's on this PC but I will not tolerate windows partitioning my drives, I have an old gparted cd I made several years ago and it is one of my best tools. Did you ever find your Sata mode setings in your bios? Do not worry about the Sata drive numbers, mine just starts with "0". Good Luck. Terry, do these images look like your MOBO? Asustek M5A78L-M? Terry if these images are like your MOBO, then open each Sata ports and make sure they are enabled, SSD should be on #1 port. Also look under the Sata Configuration, I believe this is where you will have to change from IDE or AHIC mode. I have a complex job to complete so this will have to hang for a while....I'll get back to it soon. Thanks to your help I finally got the boot order straightened out. Now I still get a BSOD saying that there is a config command problem. I tried to do a System Restore but it won't work unless I am I Safe Mode. In Safe Mode, the restore point I need doesn't show. I also tied a repair using my installation disk to no avail. I have a workaround but it's a pain. If the images I found resembled your mobo I would sure like to know what settings are under that "Sata Configuration" tab. How do I capture the mobo image? 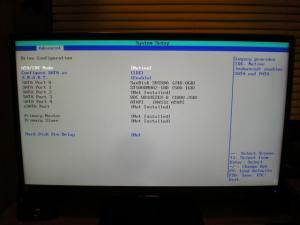 Some UEFI mobo have a screenshot utility that will save a .jpeg image to a Fat 32 USB stick, unfortunately mine do not. The next best thing is to use a phone or a digital camera for a photo, think I will try this later today. Two images of my Intel mobo using a digitat camera. Had to open images with paint and resize to 640x480 pixels in order to upload to DCT. Try it, if you have a digital camera, just make sure you have enough light to not use the flash.